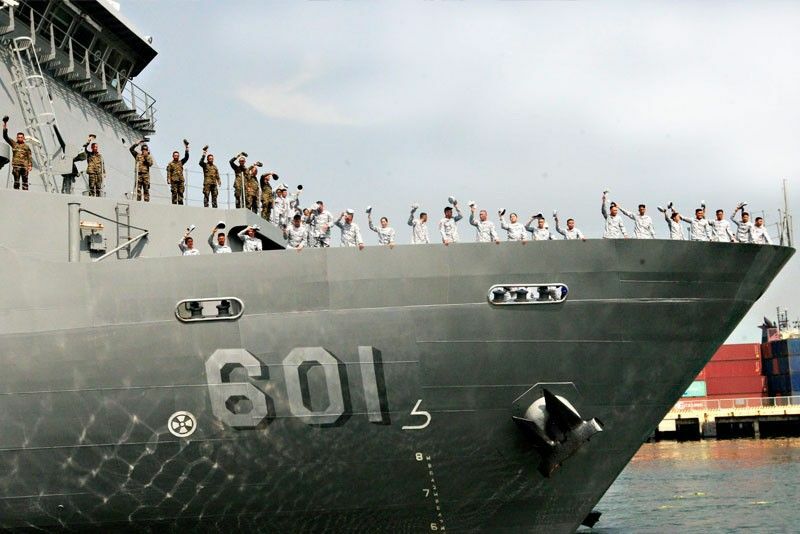 MANILA -- Russian and Filipino naval cooperation is expected to get a much-needed boost as both nations are set to sign a naval cooperation agreement in July. This was bared by Philippine Navy (PN) flag-officer-in-commander Vice Admiral Robert Empedrad in an interview with reporters Thursday. He said the initial agreement is already finalized and that they will forward it to the Department of National Defense (DND) for approval. Once the DND gives its approval, Empedrad said they will go to Russia to sign the agreement, which is expected to strengthen the relationship of the two countries. Last Wednesday, Russian Navy Commander-in-Chief, Admiral Vladimir I. Korolyov, was accorded arrival honors during his visit to the PN headquarters at the Naval Station Jose Andrada, Roxas Boulevard, Manila. He was then conferred the Honorary Flag Rank Command Badge and Plaque at the Hall of Flags followed by the PN organizational briefing. Korolyov and members of his staff arrived in the country last March 18 as official guests of the PN. His visit officially started with a wreath-laying at the Rizal Monument in Luneta, cultural tour in Intramuros, Manila and a visit to the PN vessel BRP Tarlac (LD-601). Korolyov is scheduled to pay a courtesy call on AFP chief-of-staff Gen. Benjamin Madrigal and Defense Secretary Delfin Lorenzana, and tour Corregidor Island during his four-day visit.